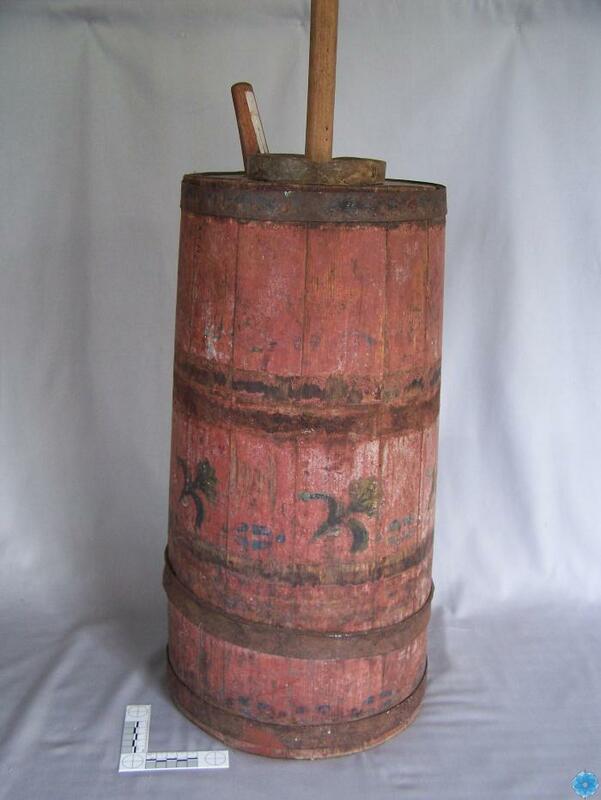 Cylindrical wooden butter churn with tall wooden pole handle coming through the lid and a small secondary pole handle attached to the lid. Barrel of churn is held together with iron bands which are attached by rivets to the churn. Barrel is composed of several lathes that fit tightly to form the barrel. The exterior has a red brown finish with flower motif around the middle section. Churn has three components but all are tightly fitting together i.e. barrel, lid, handle.